It can be reasonably difficult to find the exact download you need for the various Power Products in the Microsoft BI stack. Some of these products (particularly Power Pivot) have a number of versions. This article is provided to help you get the correct download first time. You may like to book mark the page so you can find it again in the future when you need it. Before you start: Power Pivot and Power Query come in 32-bit and 64-bit versions. You must download the same version as your version of Excel. E.g. if you have 32-bit Excel, you must download and install the 32-bit plugins, and similarly for 64-bit. If you are going to use Power Pivot and you have 32-bit Office/Excel, you should consider upgrading to 64-bit. You can read about why you should consider this here . This is the latest version of Power Pivot that works with Excel 2010 (technically called Microsoft SQL Server 2012 SP2 PowerPivot for Microsoft Excel® 2010). This version has a number of enhancements over V1 (read about that below), including a diagram view and a number of new DAX functions. If you have Excel 2010 and you want to install Power Pivot, this is the one you should install unless you have very specific legacy system needs discussed below. I have put this version first as it will be the right version for most Excel 2010 users. You can download the Excel 2010 V2 SP2 Addin here. This version of Power Pivot is technically called Microsoft SQL Server 2012 SP1 PowerPivot for Microsoft Excel® 2010. This also has most of the same enhancements over V1, including the diagram view and a number of new DAX functions. You should only download and use this version if you have a specific need to actively use Power Pivot with SQL Server 2012 SP1, and that may include needing to host your workbooks on a SharePoint Enterprise instance that has SQL Server 2012 SP1 as the database, or possibly if you want to develop workbooks in Excel and then host them on SSAS 2012 SP1 Tabular within your corporate IT environment. If you don’t know what any of this means, then my advice is do not install this version. Even if you do know what this means, then my advice still is only install this version if the above points are real business issues for you and are active requirements for your project. If you have read the above and still want to install this version then you can download the Excel 2010 V2 SP1 Addin here. This is the original version of Power Pivot and is downloadable as a plugin. This version was released as part of SQL Server 2008 R2. It has now been superceded and you should only use it if you have the specific legacy requirements covered below. You should only download and use this version if you have a specific need to actively use Power Pivot with SQL Server 2008 R2, and that may include needing to host your workbooks on a SharePoint Enterprise instance that has SQL Server 2008 R2 as the database, or possibly if you want to develop workbooks in Excel and then host them on SSAS R2 Tabular within your corporate IT environment. If you don’t know what any of this means, then my advice is do not install this version. Even if you do know what this means, then my advice still is only install this version if the above points are real business issues for you and are active requirements for your project. There are limitations in this first version so only use it if you absolutely have to. If you have read the above and still want to install this version then you can download the Excel 2010 V1 Addin here. There is no separate Addin for Excel 2013. You have to purchase a version of Excel that comes with Power Pivot. You can read about the various versions here. If you have the right version then you can turn on the menu by navigating in Excel to File\Options\Addins\Manage\Excel Addins. Change the drop down list to “Com Addins”, click Go, and then turn on the Power Pivot Addin. If you can’t see the Addin, then you have the wrong version. You do not need to turn on the Power Pivot Addin to view a Power Pivot Workbook, but you do need to turn it on if you want to author Power Pivot Workbooks. Power Query is a single Addin that can be installed on any version of Excel 2010 or Excel 2013 (they all have the same download). There are some limitations of what Power Query can connect to in some of the cheaper versions of Excel, but they all support the basic product. Download the Addin here. Power Map is a new geo visualisation tool that is available as a download for Excel 2013. It allows you to take geospatial data (such as cities, suburbs etc) and visualise the data on a Bing Map. It is great if you have this need. Power Map is part of Office 365 and is installed and updated automatically. Power Map is only available as an unsupported Addin for Office Professional Plus, but as a fully supported product that is enhanced over time for Office 365. You can download a copy of Power Map Preview for Excel 2013 here. 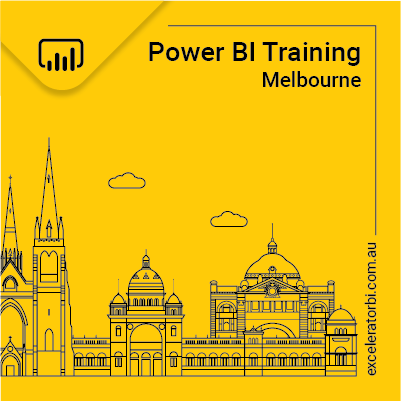 Power BI Desktop is a stand alone application that combines Power Pivot and Power Query into a single app. This product is useful if you are building reports to be loaded on https://PowerBI.com or you can use it as a stand alone desktop data modelling and reporting tool instead of Excel. Did I mention it is free? You will not get a better, free desktop data modelling and reporting tool than this anywhere, probably ever. 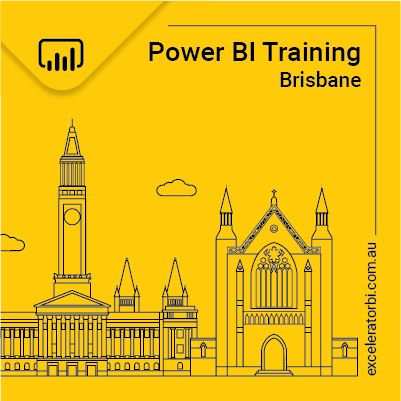 You can download Power BI Desktop and the other Power BI Apps here. If you need the 32-bit version, make sure you select the advanced options. Power Update is a third party software solution that solves lots of challenges that come when you have lots of Power Pivot Workbooks to refresh each day/week. It can schedule the refresh of all your workbooks and publish them via email, save to a server or even publish to SharePoint or Power BI. Find out more about it here. DAX studio is a tool that connects to the Power Pivot data model in Excel files, Power BI files and SSAS Tabular. Once connected, you can use DAX as a query language to interrogate your data model, return tables of data and even extract a list of all of your DAX Calculated Fields. It is particularly useful to help you write complicated DAX formulas that need a virtual table as part of the formula (you can write the table portion first in DAX Studio and make sure the table portion is correct) and also for performance testing of your measures. That links page is a great help. Back in May there was a 32-bit version of Power BI Designer available in addition to the 64-bit. In fact the 32 bit download was named PowerBIDesigner.msi and the 64-bit PowerBIDesigner_64.msi. If you need to use 32-bit ODBC Drivers then the only option is the 32-bit Power BI Designer. However, in the link to the latest download, with the new style template, there is only a 64-bit version …. which of course throws up an ODBC compatibility error when you try to Get Data! This seems to come as a surprise to the support team in Microsoft whose initial response was that the 32-bit version did not exist … and then to try the 64-bit version. If ODBC is a supported data source, then you need 32-bit support in order to access legacy systems. Hi Tim, thanks for bringing this to my attention. I wasn’t aware of this issue but I did find a link to the old Power BI Designer 32 bit download and I have added that to the links above. I will try to get some clarity on what is happening to the 32 bit version. It definitely exists :). I have also asked for the team to update the download page to add a link to the download page. For those that are not aware, Kasper is a Senior Program Manager at Microsoft working on Power BI.